Amazon has released Cyber Monday deals for a handful of 3D printers. These 3D printers have been discounted as part of Amazon’s ‘Deal of the Day’ partnership with select companies. The companies that Amazon chose to work with are MonoPrice and RepRap. You can see a full list of the models that are part of the deal here. There are other 3D printers that are for sale right now with regular Cyber Monday deals. All of these models are listed below. 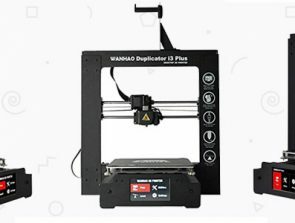 The 3D printer deals below are expected to end tonight. This is your last chance to get a huge discount from a name-brand. The Monoprice Maker is available until midnight. It is selling for $489 right now, down from its retail price of $699. That’s a savings of 30%. 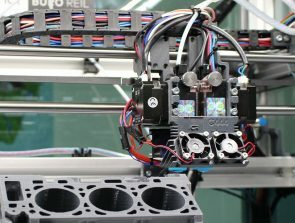 This 3D printer has a resolution of up to 20 microns. 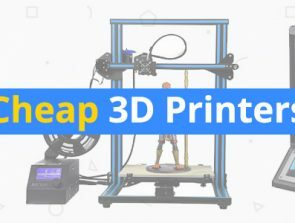 Although the this 3D printer has its flaws, at this price it offers a lot. You can get the RepRap Prusa I3 V2 for $245 tonight, down from its retail price of $349. This 3D printer is a fun model and there’s a huge DIY movement built around it. The Monoprice Select Mini has a heated bed and it’s selling for just $154. 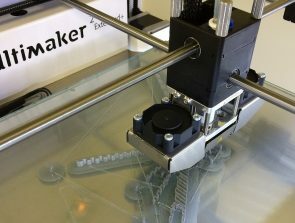 This 3D printer normally costs $220. Lulzbot has discounted their 3D printers for Cyber Monday. These deals are likely to end tonight. The LulzBot Mini was reduced by $250 and you can now get it for $999. The larger LulzBot TAZ 6 has been reduced by $540 and it is for sale at $1959. 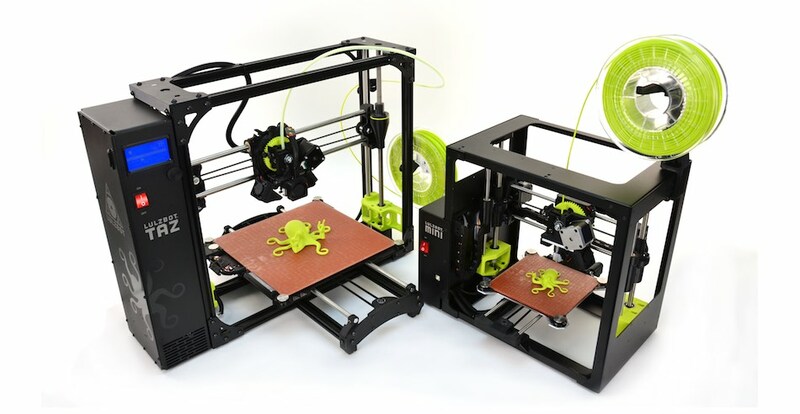 We are big fans of Lulzbot printers and they have made the top of our lists before. The FlashForge Creator Pro is selling for a $100 discount. It is priced at $799. This machine is one of the best 3D printers you can buy. FlashForge 3D printers are phenomenal and well-built. The Sindoh 3DWOX DP200 has a retail price of $1299, but it is for sale for Cyber Monday at $975. That’s a discount of $324 or 25% off. The Dremel DigiLab 3D40 is designed to be used for K12 education. It’s selling for $956 right now. It has been discounted by $343. The Dremel DigiLab 3D20 is for tinkerers and hobbyists and it is currently selling for $777. It is normally priced at $999. There’s only one unit in stock right now. Dremel is a huge tool maker that you can find all over Home Depot and Lowe’s. They brought their manufacturing expertise to the 3D printing space. The Robo R1+ is on sale for 20% off at $399. This printer was started on Kickstarter a few years ago and they delivered a good product at the time. Browse the Amazon page of XYZprinting if you are a fan of the company because several of their 3D printers are on sale. The company is best known for the XYZprinting da Vinci Jr. 1.0 which they have on sale for $199. CEL has discounted the Robox from its list price of $1499 to just $599. This means you can potentially save $900 on this 3D printer. Tiertime is selling the UP BOX+ for $520 off its retail price at $1379. They have also discounted the UP mini 2 by $50. The aesthetically pleasing New Matter MOD-t is selling for 50% off at $199 right now. This printer will look great on any countertop. It’s arguably the best looking 3D printer out there, if looks matter at all. Cyber Monday is the best day of the year to get a 3D printer. You can find discounts on models that almost never reduce their retail price. Our personal favorites are the Lulzbot machines.